Do you feel overwhelmed with how things are going in your homeschool education journey? As a mom who likes working with schedules and calendars, I’ve had to adjust. 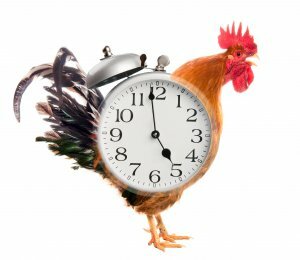 I’ve learned that not everyone functions well with alarms, bells, whistles and rooster calls. I remind myself of that daily. I wasn’t always that person, though. The one consistently checking her schedule and to-do list. But, my children are neither. They work better with routines. In fact, most children function better with some type of routine. Take a look at these routines compiled by Amy Roberts of Raising Arrows. Through trial and error and a lot of tweaking, these routines have eased homeschool education for these families. Perhaps you’ll find inspiration in them. My kids – like many others – like knowing that this particular thing usually comes before (or after) that particular thing. It doesn’t matter what the clock says. As long as they feel good about the progress they’ve made. At times, it can be difficult for “scheduled” parents – like me. After all, I like to work with a Tomato Timer. 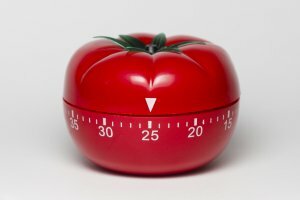 I’m all about the Pomodoro technique. Just imagine. One day it takes a little longer for a child to grasp a certain subject. Because a scheduled parent may feel the urge to skip what would normally follow just to get back on schedule. Then, try to squeeze in the missed work sometime that next day. For some time after, you feel a lot of tension in the neck and shoulder area. Perhaps struggle with tension headaches. Interactions with the kids become more short…almost combative. You’re wondering at what point you lost control of parenting and homeschool education. You’re doing your best to maintain the schedule set out at the beginning of the year. However, allowing the clock to be dictator may be the cause of your stress. After all, is homeschool education about helping them spout trivia or is it about helping them gain knowledge? Daily? A knowledge that is applicable to their daily lives? That might mean refraining from watching the clock. You may also be a parent – like me – that likes having your child’s curriculum set for the year. At least, a basic outline of what you will be doing. Or a set of goals you want to have achieved by a certain time. You have it broken down into your manageable chunks. But failed to add a buffer for those days that don’t go as smoothly as possible. 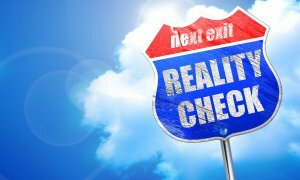 So, when you arrive at the end of your semester – or year, you find yourself doing a reality check. But, it’s nothing to beat yourself up about. Even with a set outline or a set of goals, you could fall behind on what you originally expected. Or, the opposite could be the case. You could be ahead of schedule wondering where to go next. Either scenario could cause feelings of anxiety over what to do with your time. If you’re behind, do you try to figure out a way to catch up? If you’re ahead, do you put your feet up and watch television (or read books)? Unfortunately, there is no pat answer for either question. There will always be a best case and worst case scenario. If you’re behind and add an extra 30-60 minutes of time to your schedule, you could catch up to where you expected to be with your child’s homeschool education. If you’re ahead, you could take that extra time to go on outings to reinforce your child’s studies. If you’re behind and add an extra 30-60 minutes of time to your schedule, tension and anxiety may arise. If you’re ahead and kick your feet up, something like the summer slide could take effect. 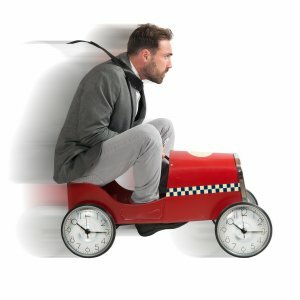 To keep anxiety and laziness from hovering over your head, it may be easier to release yourself from the stress of achieving those bite-sized, manageable chunks. If it becomes too much for you or your child, just regroup. 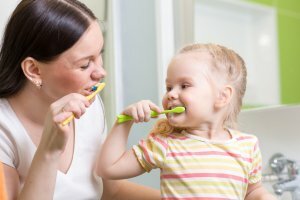 Lean on the routines that help your children feel secure. Meanwhile, you can look for ways to make the subject come to life for your child. You can break it down even more. …without anyone having an anxiety attack. If you find that you have already completed a subject, you are now able to take the extra time to reinforce learning in a fun and relaxed atmosphere. Or, you may prefer taking that time in between each topic of study. There are many courses that are broken down in this way. Not to mention, several (if not all) homeschooling styles that support this type of learning. I like to call it Daily Learning. And, while you can’t put a trademark on it, it’s a great way to keep from tying yourself in a knot worrying about if you’ve “missed the boat” on this one. When you take the time to focus on daily learning, each day builds upon the next. No matter what topic you and your child are studying, there is a consistent increase in applicable knowledge. And you’re not flying through to get to the end. Or rushing to beat the bell. You take the time that you need. Because your children are comfortable with the knowledge of what comes next, you can relax. Allow their homeschool education to be a comfortable and enjoyable education. Without the added pressure of racing the clock. Meanwhile, the subjects they find easy can be done in record time. Leaving you with time to focus – and engage them – on those they find more challenging. Making your daily homeschool education schedule more manageable. Those are the manageable chunks you give your student and yourself. One day at a time. Thanks so much, Shannon. Thanks for being an inspiration and guide for so many. I’m telling you, having a bedtime routine with story time, prayers…even just chatting to relax after the day has been a game changer for me and my kids.